French forest Who does the French forest belong to ? Who does the French forest belong to ? Forest is mostly private in France. Three quarters of the metropolitan French forest area belongs to private owners, which makes up 12.6 millions of hectares. State-owned forests cover 9 percent of metropolitan forested area, the rest being occupied by other public forests, mainly communal forests. In Europe, France is one of the countries with the highest proportion of privately-owned forest, behind Portugal, Austria and Sweden (cf. Global forest resources assessment - 2015). The share of public forest has slightly decreased since the last century, which means that the expansion of the forested area is essentially due to privately-owned forests (cf. 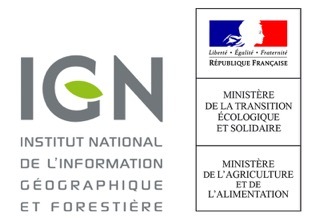 Indicators for the sustainable management of French forests - 2015 edition). The distribution of ownership categories varies according to the region. In southern and western France, private forests represent more than 80% of the forested area. Communal forests and other public forests other than state forests, are frequent in the East of France (Grand Est and Bourgogne-Franche-Comté) and rare in the West of France for historical reasons. State forests are more frequent in Northern France. The state-owned forest of Orleans is the largest French state-owned forest with an area of approximately 35 000 hectares.